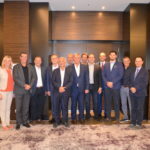 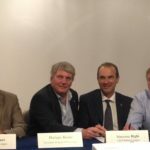 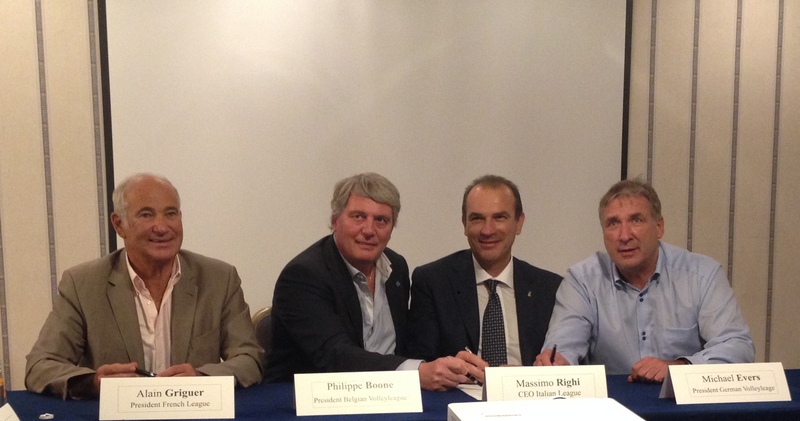 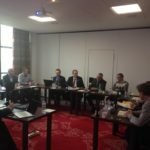 After a meeting that took place in Bologna, Italy, the Italian, Belgian, German, French and Polish Volleyball Leagues have signed an agreement to establish the Volleyball League Association. 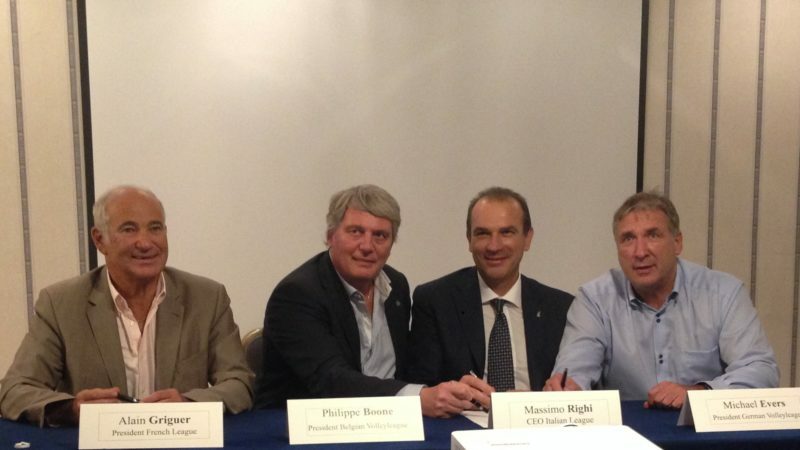 These are the five founders of the organisation but other European Leagues showed their interest to the project. 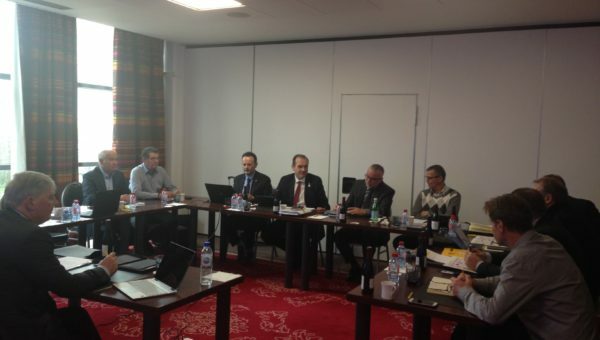 To have a better synchronisation of International calendars (FIVB, 5 Confederations) and National Leagues’ calendars: first to solve the problem of physical overload of many players who play too many matches per year, second to give more continuity and regularity to national competitions to secure the economic value of our sport. 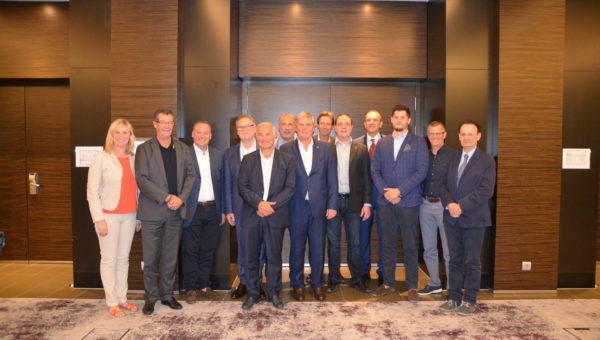 The meeting included Philippe Boone (President of Belgian Volleyball League), Marc Spaenjers (CEO Belgian Volleyball League), Michael Evers (President of German Volleyball Bundesliga), Jan Sienicki (Manager German Volleyball Bundesliga), Alain Griguer (President of French Volleyball League), Yannick Souvré (Manager of French Volleyball League), Massimo Righi (AD Lega Pallavolo Serie A). 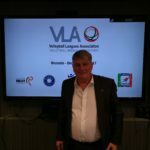 The Volleyball Leagues Association will be represented by Philippe Boone (President of the Belgian Volleyball League) and Diego Mosna (Honorary President of Serie A Italian Volleyball League).